More bad news for AMD and its ATI graphics subsidiary. New figures from John Peddie Research indicate it has fallen well behind Nvidia for graphics market share. The latest statistics for the second quarter of 2007 give Nvidia 32.6 per cent of the PC graphics market with AMD/ATI languishing at 19.5 per cent. Exactly one year ago, those roles were reversed. AMD/ATI owned 26.7 per cent while Nvidia was back on 19.7 per cent. That's an enormous turn around in just 12 months. For the record, Intel slipped slightly from 40.4 per cent to 37.6 per cent during the same time period. However, it should be noted that Intel's graphics market share is exclusively in the low-margin integrated segment. Nvidia and AMD/ATI are the only serious players in the much more profitable discreet graphics market represented by add-in 3D cards. 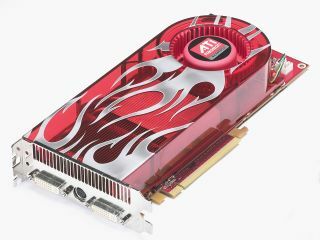 Much of the explanation must lie with AMD's failure to launch its DirectX 10-compatible Radeon HD 2000 series on time. That allowed Nvidia to score a series of PR victories starting with the launch of the award winning GeForce 8800 series in November last year. Making matters worse, when AMD finally managed to launch the Radeon HD 2000 family in May, it delivered a disappointing performance. In the near future, it's unlikely the situation will be improved. AMD is stuck with the HD 2000 until at least mid-2007 when its successor, codenamed R700, is due to appear. According to several reports, AMD has chosen a radical modular design for R700. Unlike current graphics processors which are composed of a single silicon die or chip, it's thought R700 will be made from multiple dies. On paper, this will allow AMD to add or remove dies and deliver a wide range of functionality and performance levels. Time will tell whether this novel approach will be enough to win back market share from Nvidia. The GeForce 8000 series continues to dominate the market.